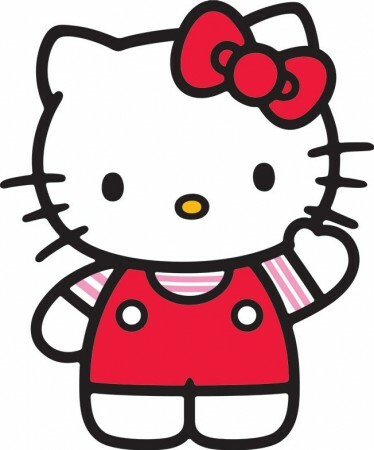 Hello Kitty is by far the most adorable cat in the world, from her big red bow down to her overalls. Her creator, the Japanese brand Sanrio, has built an empire of cuteness for all ages to enjoy. Over the years, the company has added various other characters that accompany Kitty in her adventures. Hello Kitty has appeared on all sorts of products, including those for designers like Tarina Tarantino, and she even has her own lines for MAC, Forever 21, and Sephora! Being the fashionista that she is, Hello Kitty and her pals are a perfect source for fashion inspiration – no costume required! Below, I’ve created a series of outfits inspired by Hello Kitty and her friends for you to use as inspiration for your own looks! Scroll down to view all looks inspired by Hello Kitty, Chococat, My Melody, Badtz-Maru, and Keroppi! Achieve Kitty’s cute appeal in this outfit! 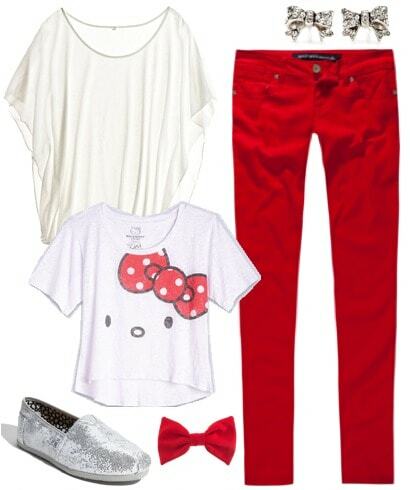 Pair a flutter sleeve tee with bright red jeans, and slip on a pair of glitter TOMS for a girly vibe. Add a bow to your hair to capture her signature style! For an alternate look more directly inspired by Hello Kitty, wear a Hello Kitty graphic tee in place of the solid white one. Channel Chococat’s classic cool look by wearing a black v-neck sweater and slouchy boyfit jeans. Add a brightly colored scarf and some oxfords to continue the chic appeal. Bright colored studs finish off the outfit. To mix things up, switch out the sweater for a top with Chococat’s face to show the world your love for this quirky cat! My Melody is super girly, so steal her adorable bunny look with a sweet pink belted dress and neutral colored pumps. Add a floral headband and earrings for a feminine flair. Change up the look by popping over a My Melody top over the dress for a unique twist. Grab Badtz-Maru’s edgy penguin vibe with this outfit. Wear a cobalt blue top with zipper detail over acid wash jeans, and add fierce ankle booties and a statement ring to complete the ensemble. To pay tribute to Badtz-Maru, switch out the blue top for a graphic tee featuring the penguin himself. 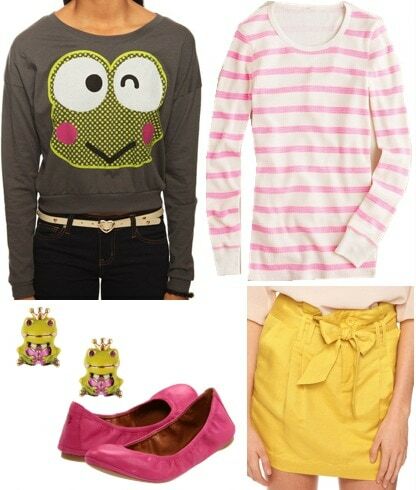 Capture Keroppi’s playful appeal with this colorful outfit. Wear a pink striped tee tucked into a bright yellow skirt and pink flats. Add a pair of frog studs as a wink to Keroppi himself to finish off the fun look. For a different vibe, wear a Keroppi tee instead of the striped tee. Do you like Hello Kitty and her friends? Would you wear any of the looks above? Which one is your favorite? 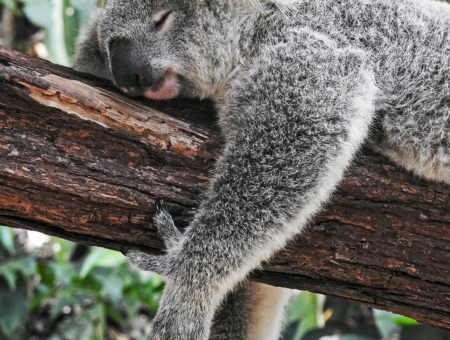 Would you like to see more posts like these in the future? Let me know in the comments! Previous Quiz: What’s Your Holiday Party Style?